Hey, guys! 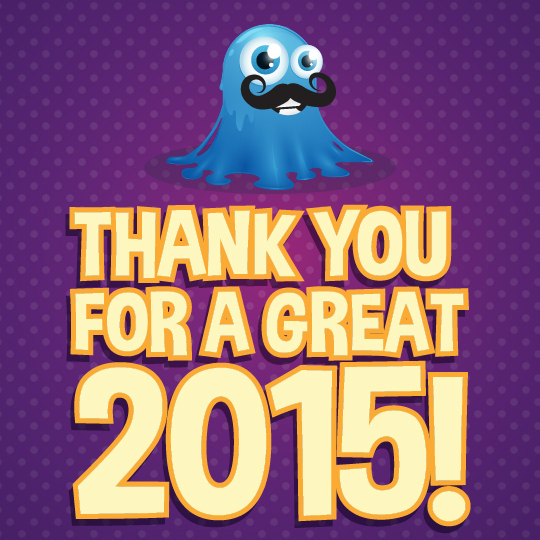 We wanted to thank you for being on our side in 2015 and most important – for making us better than last year. After yet another awesome and restful round of winter holidays, it’s hight time we returned to our computer and planned a successful 2016! But you can’t build something meaningful without a foundation, and here is ours. Our foundation is powerful, and this is all thanks to you guys. Thank you for your support, honest reviews and for celebrating main events with us! We hope 2016 will be even greater. We will continue to stand by your side in this challenging, yet beautiful domain of digital design. Now it’s your turn to tell us how was your year. Which of our deals was your favourite? ← Who Scared the InkyDeals Team?